Hard chairside reliner formulated for reduced exothermic heat. 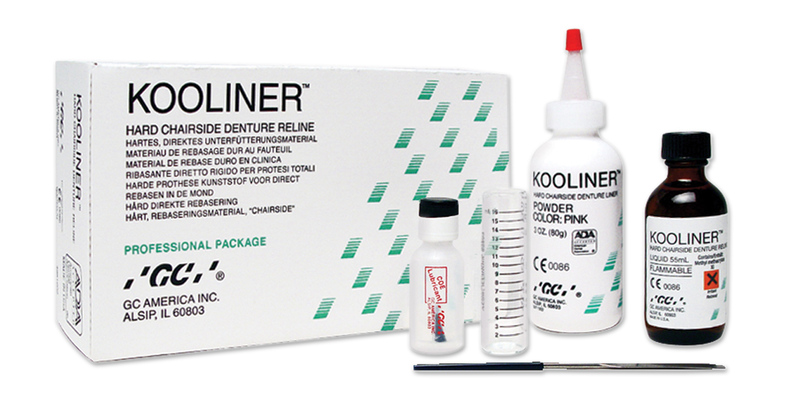 It can completely self-cure in the patient’s mouth in approximately 10 minutes. Contains: 3 oz. bottle powder, 2 oz. bottle liquid, 5⁄8 oz. bottle lubricant, measuring scoop, glass measuring vial.